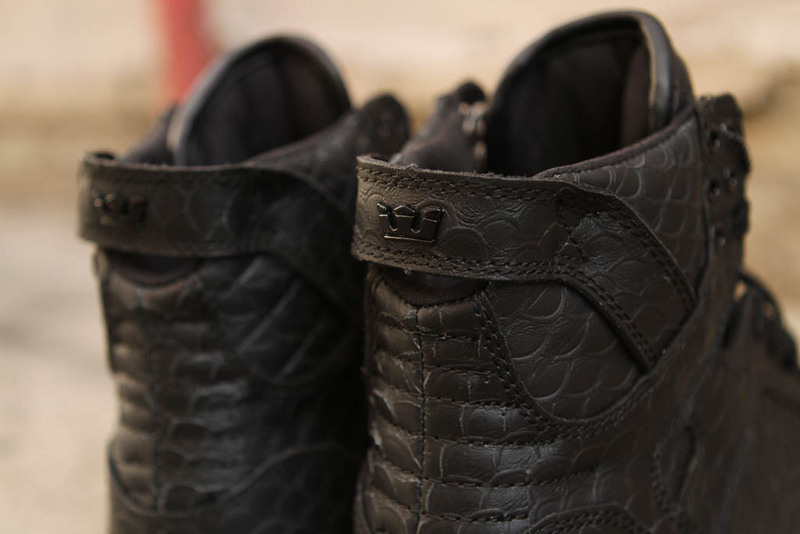 SUPRA Footwear dresses two of their classic high-top silhouettes in premium etched fishscale leather for new spring releases. 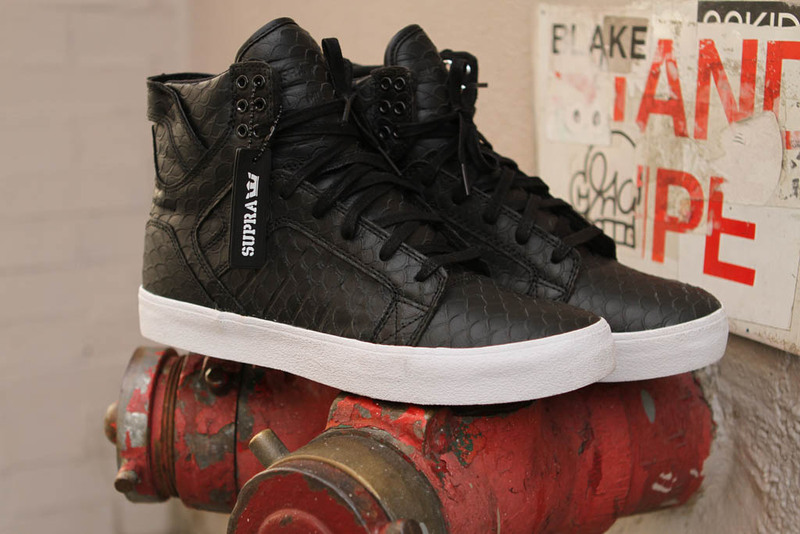 SUPRA Footwear dresses two of their classic high-top silhouettes in premium etched fishscale leather for new spring releases. 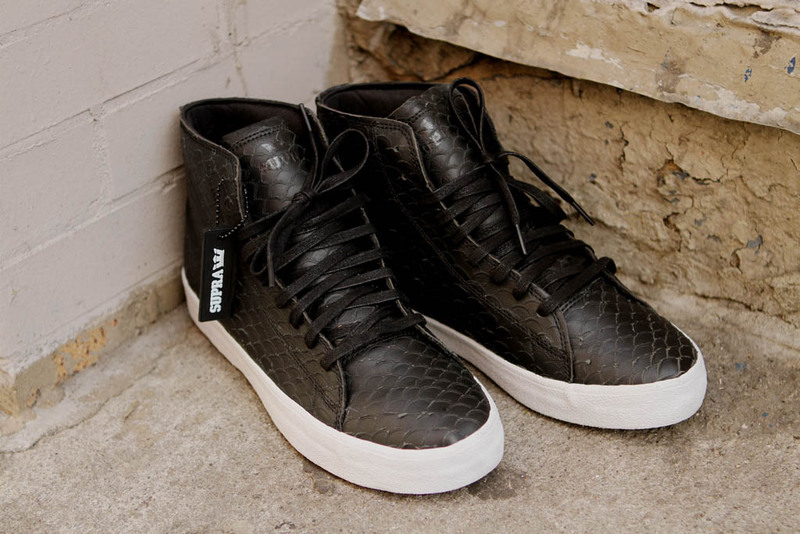 The "Fishscale Pack" consists of the original Skytop and the Thunder, each supported by a SUPRAFOAM midsole and vulcanized gum rubber sole wrapped in white foxing tape. 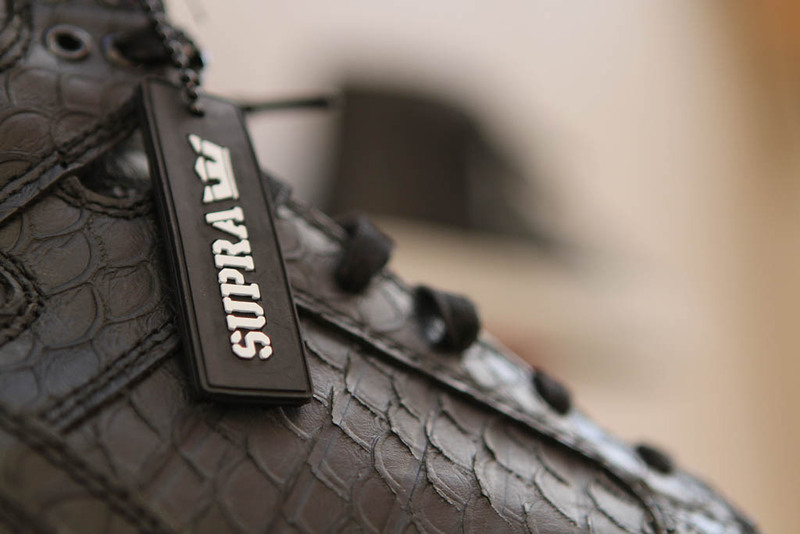 SUPRA hang tags are also included. 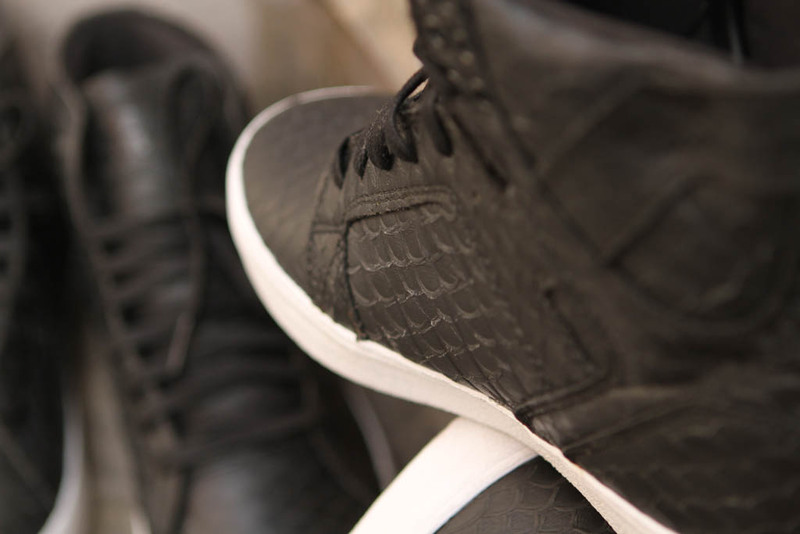 The "Fishscale" Skytop ($185) and Thunder ($165) are available now at KithNYC.com and Kith stores.